People get their business cards made even before the business is underway. From the thickness to the coloring and from the typography to the content, everything is carefully designed and scrutinized. If you don’t have a business card, then your business doesn’t seem to have an identity. But let’s face it – is it not as helpful to customers as it is touted to be? I’ll be honest. While I often collect business cards for contact information, I don’t seem to find them when I really need to reach out to them. And I’m sure you aren’t any different. But fret not! We have some good news. This is where ScanBizCards app comes into play. Apart from adding them to Rolodex, I’m sure you have also tried storing the information digitally in your computer systems and mobile phones. For one, when you add the contact information manually, there are high chances that you might end up transcribing the information incorrectly. Secondly, it is impossible to store hundreds and thousands of contacts at once. These two problems cause a serious dilemma. Have you ever wondered how marvelous it would be if you could capture the contact information on the business card by simply using your phone’s camera? ScanBizCards app turns this dream into a reality. ScanBizCards app is one of the most effective productivity tools for businesses. Now professionals don’t have to go through the hassle of manually entering logging contact information. 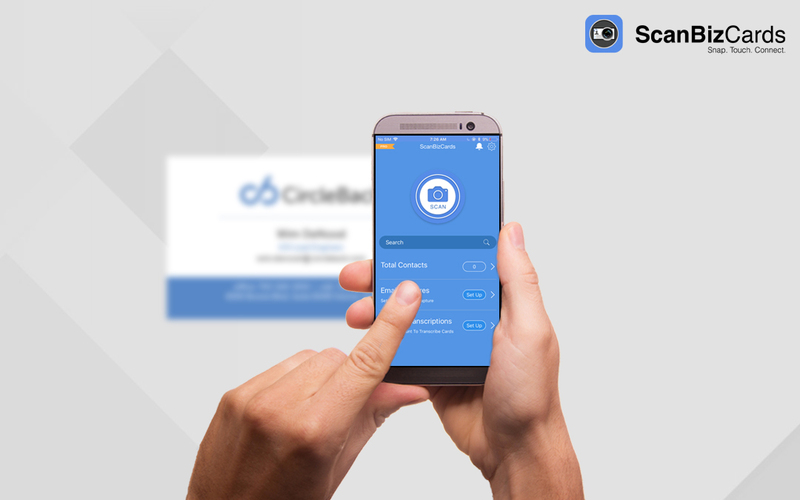 This ScanBizCards improves your sales productivity by allowing you to simply use your phone’s camera to get the business card contact information and helps you export contacts directly into Salesforce. 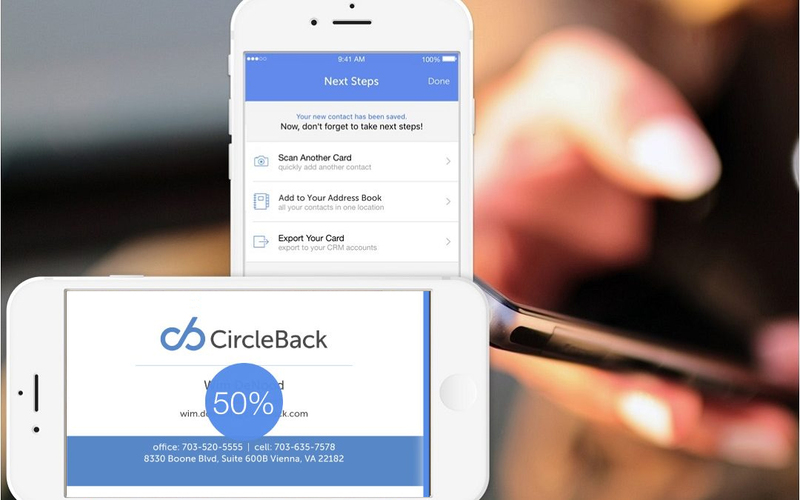 This business card scanning app is like a holy-grail for every frustrated sales professional who is tired of managing prospects’ contact information. There’s an Enterprise version of the app that stands out the most. This version offers packages for varied business needs. Let’s have a look at some of the most prominent attributes of the Enterprise package of this business card scanning app. Quickly & Accurately Exports Contact Information – Uploads contact information into your Salesforce CRM within seconds. Connect with Accounts – Attach contacts to new or existing customer accounts. Assign Lead Owners – Allows you to assign lead owners and campaigns to new contacts or leads before exporting them to Salesforce. Admin Panel – The panel allows each sales rep in the team to oversee all the associated apps. Export Cards in Bulk – ScanBizCards allows users to seamlessly export multiple cards to Salesforce. Duplicate Prevention – ScanBizCards dedupes your records, making sure that pre-existing contacts do not get exported to Salesforce. Customizable – The users can customize all the captured fields to suit their individual needs. Keep track of Analytics – Admins can keep track of user activity reports, business card scans, and email signature capture. While this business card scanning app offers a multitude of attributes, the fact that it is very easy to use and navigate is also impressive. With a few quick and simple steps you can export all of your contacts to your CRM. Check out our Help Center to understand how you can export your scanned cards into a CRM. Since you’re already grappling with a lot of clutter and have no time to organize it, using ScanBizCards to manage your prospects’ data is a no brainer. That said, ScanBizCards is much more than just a card reader. The app is particularly helpful when it comes to lead generation as well as lead nurturing. How can ScanBizCards Improve Lead Generation? For one, ScanBizCards improves the management of your business. If you are hunting for leads the right way, then ScanBizCards can help you. For example, when you go to networking events, ScanBizCards app makes it easier than ever before to quickly enter the prospects’ contact information into your device or send it directly to your CRM. Then once you have all the relevant contact information in your database, you can use this contact list further for email marketing, cold-calling and more. You won’t even have to worry about duplicate records as ScanBizCards dedupes all of your records before adding them to your CRM! While ScanBizCards app is lauded more for its card-scanning capabilities, it can also solve the daunting task of contacts organization for once and all. As a result, your sales team will be more adept at tracking the incoming and outgoing leads along with their follow-up plan. The best things about the ScanBizCards app is that it offers a 14-day free trial for which you don’t have to pay even a single dime. So, even if you are a bit skeptical of the app, you don’t have to purchase it right away. There’s no reason why you shouldn’t try it out for once and see whether it bolsters your sales productivity or not. Pro tip: While you are at it, don’t forget to take advantage ScanBizCard’s easy to track activity reports and email signature capture feature.